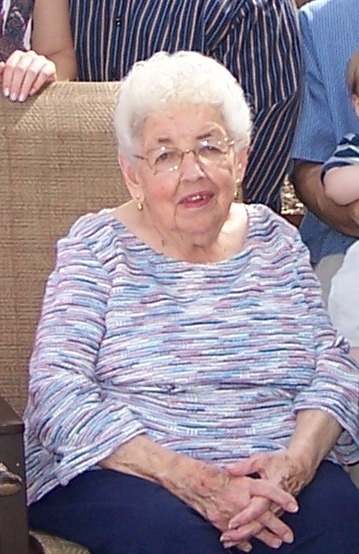 In the UK, hardy mums are mothers with great resiliency, but here in Michigan, they’re colorful fall flowers. Mums can be planted as perennials, which will come up year after year, but require a lot of summer maintenance to keep them looking full and bushy. That’s why many people here use them as fall annuals. 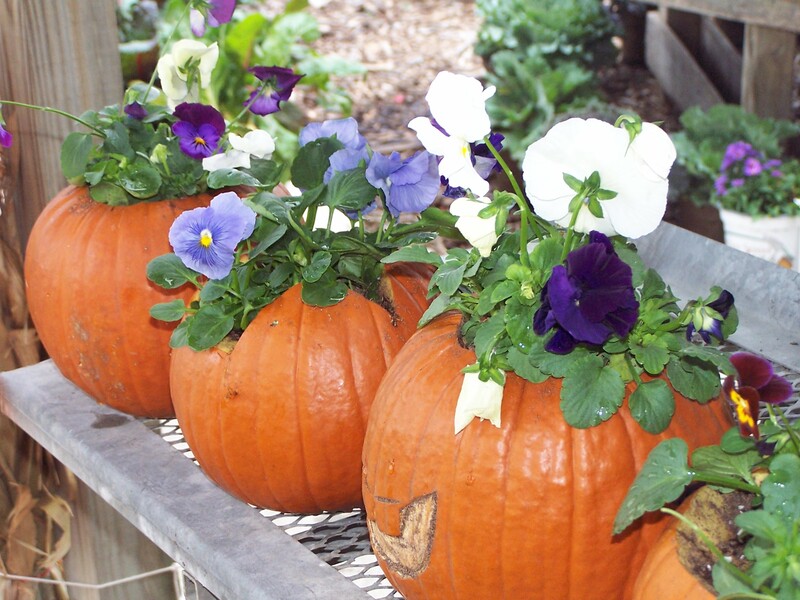 We plant them in September and October, when summer annuals and perennials have begun to fade and look scraggly. This year I bought a flat of small mums for about $15 that had tightly closed flower buds, and planted them in my window boxes and flower pots. It took awhile for the plants to fill out and grow, but now I have a beautiful riot of colorful mums that look fresh from the greenhouse. Local greenhouses here usually stock mums into late October and early November, in all stages of bloom, so I’ll often buy a couple late in the season and use them indoors for a cheery burst of fall color, or for Thanksgiving decorations, if I can still find good ones that late in the season. Hardy mums prefer cool temperatures, which is why they thrive long after summer flowers are gone. They will remain alive until there is a hard frost. If planted in the ground, they can be cut back and will come up the next year, but usually never look as good and full as the first year they were planted. 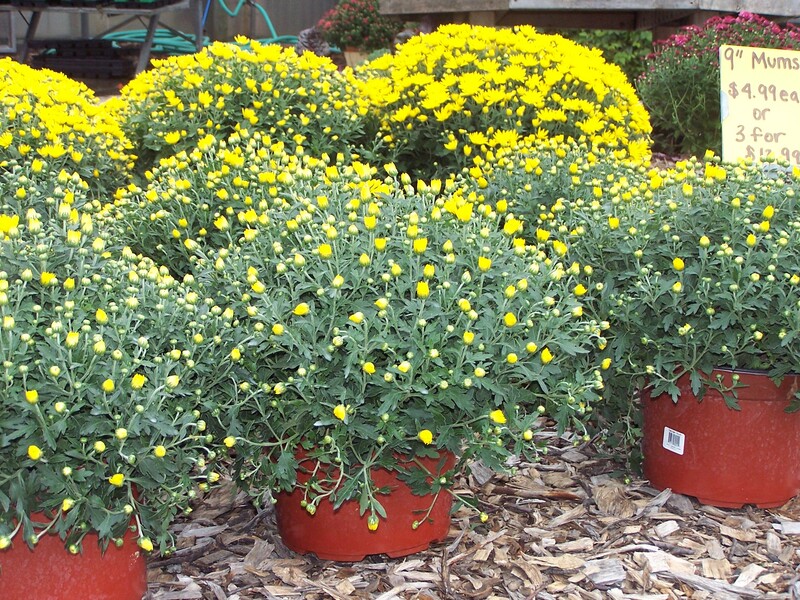 Container mums can be thrown in with yard waste compost once done blooming. Many people pair hardy mums with pansies, another cool weather plant. The squirrels in my yard religiously dig up any fall pansies I’ve ever tried plant, so I’ve given up on them, but the mums also look great alone or can be paired with late ferns, perennial sedum, or pumpkins and gourds. 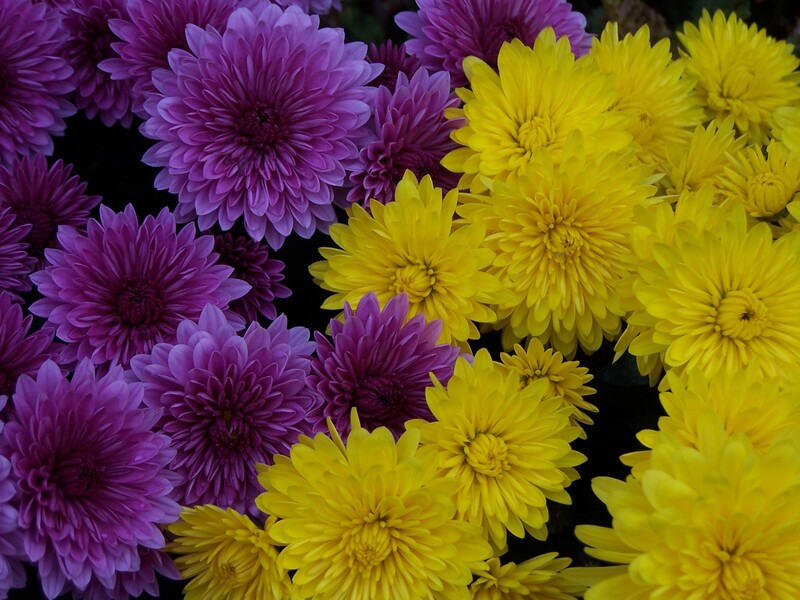 Hardy mums come in brilliant colors of yellow, orange, rusty red, maroon red, purple, light yellow and white. I like the yellow, reds and purples best, which make a nice compliment to the fall landscape.